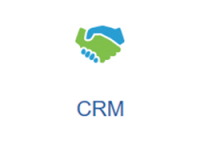 Opera 3 CRM is an integrated module which will help a busy sales team to manage opportunities and business pipeline. Full Opportunity management will help to identify each key step of the sales process while integration with Opera SOP will mean that quotes are produced and despatched efficiently. Prospects can simply be converted to customers on Opera 3 without having to duplicate information. Pipeline and activity in CRM is open to the full reporting power of the Opera 3 Business Intelligence suite.